My latest project is an M60 ALVB. When Dragon first announced their M48 AVLB kit, I had the thought to build an M60 AVLB. 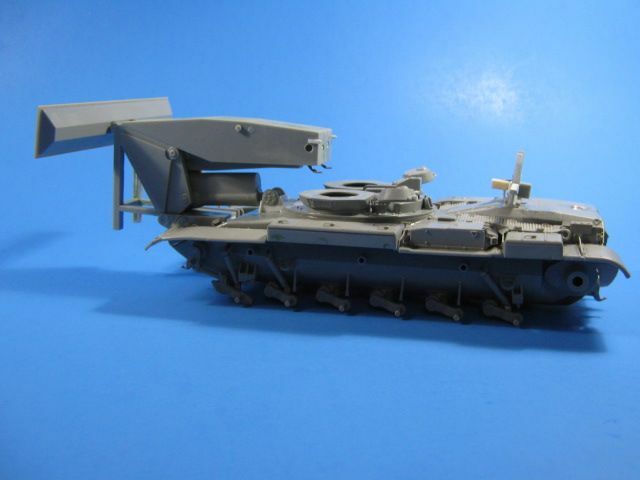 To make it, I would use the Dragon AVLB parts and an M60 hull. 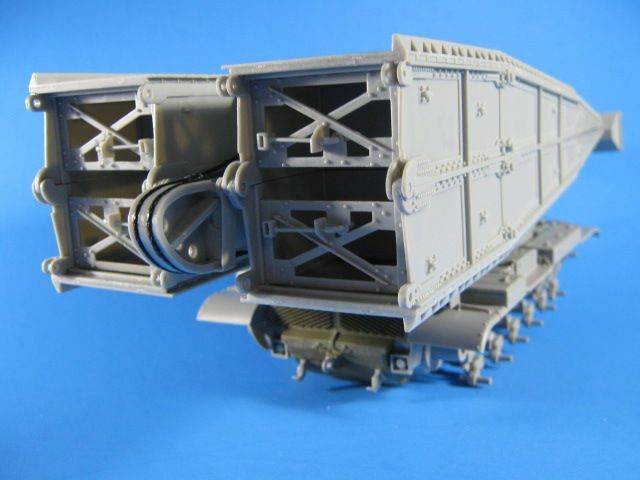 The two vehicles used the same bridging gear, so it shouldn't be too hard to do. So I started gathering the parts I needed. I needed the Dragon M48 AVLB, which I was able to order as a Christmas present to myself for an OK price from Japan. I next needed an M60 hull. I chose to use the Takom CM-11 (M48H) Brave Tiger kit. This is a special Tiawan variant that combines an M60 Hull w/an M48 turret mounting an M68 105mm main gun, updated fire controls, optics, etc. It is basically an M48A5/M60A3 equivalant. Another option this leaves me is to use the left over Dragon M48 hull and the left over Takon turret parts to build an M48A5, so a win-win. 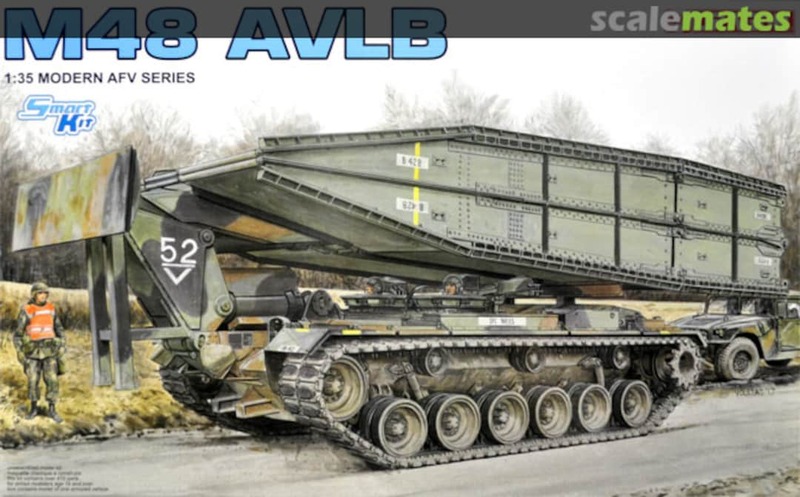 This is what I will build; an M60 AVLB that was built in the late '80s upon an M60A2 hull. 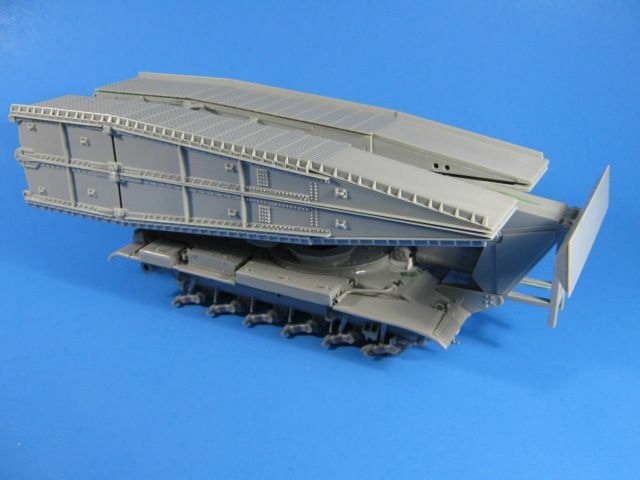 These were left over hulls that were used in one of the last batches of M60 AVLB builds. Many of these are still in use today. 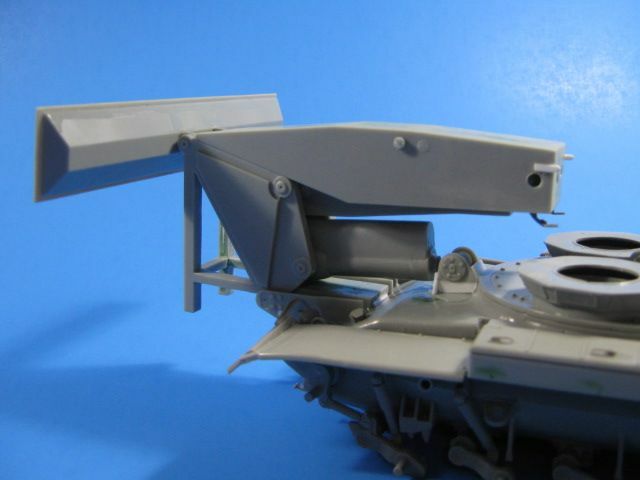 For the A2 parts, I have collected the "O" sprue from the AFV Club M60A2 kit, which includes the CBSS bulge and rear doors with extended bottom edge. 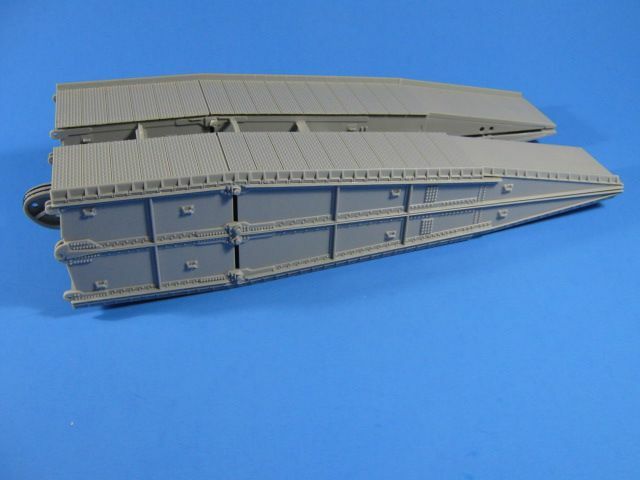 So far I have the hull complete with the cover for the turret opening and a few other parts added to it. 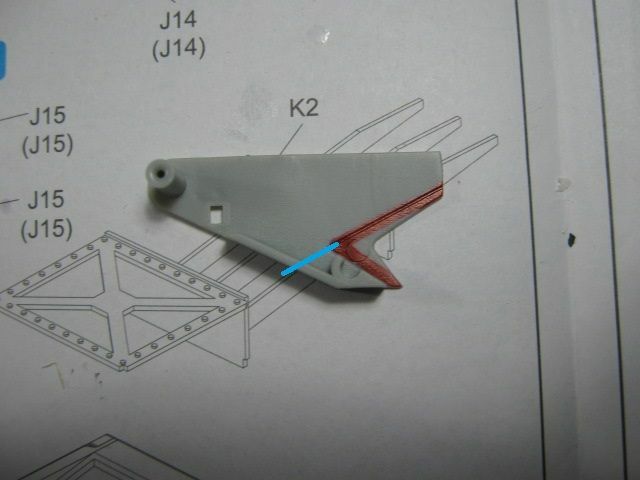 I am now starting on the AVLB parts and have found a happy surprise. I will describe the surprise and post pictures later today. It is going together really well so far though. Noooo, I hate surprises! I want it nowwwww, lol! Can’t wait to see this Gino! Looking to meet other MN Armor modellers. I live in Buffalo. I still wanna be you when I grow up, Gino! Gonna do that one for my combat engineer campaign? Here it is so far. I have the hull pretty much complete. I built it pretty much straight by the Takom instructions. I blanked off the driver's hatch with the plate supplied in the Dragon kit (J57) and filled in the driver's periscopes. 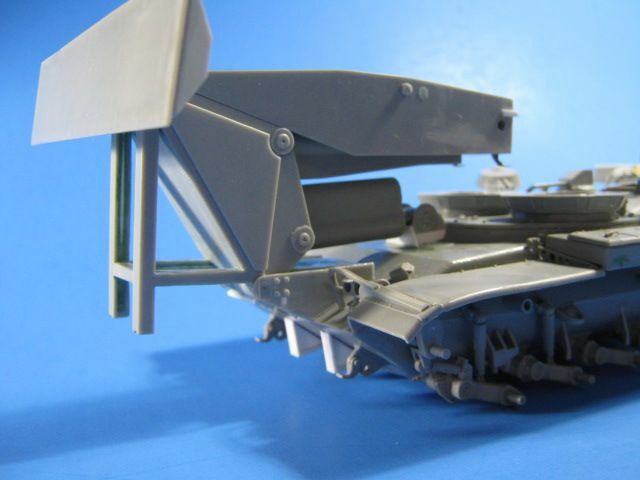 I added the M60A2 rear parts from the AFV Club M60A2 kit. 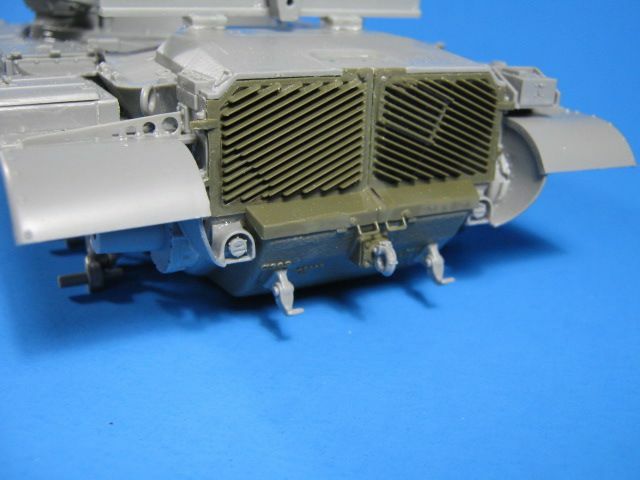 These include the CBSS (Closed Breech Scavenger System) bulge and the rear doors with added shelf-like lower edges. The AFV Club parts fit the Takom kit like a glove and required no modification at all. On the plate that covers the turret opening, I cut open the driver's and TC's hatches. I am not sure why Dragon molded them closed, but they were easy to open up. I gently cut around each dome-shaped hatch with an xacto knife. Once cut open, I cleaned them up and then built the hinge mechanisms per the Dragon instructions. The hatch pops up and then rotates to the outside and rear to open. To accomplish this, on the rotating base (F9), cut the key off the bottom and it can be glued in any position. I then added handles and lock mechanisms to each hatch. For the rear bridge supports, I added details Dragon missed. These include closing in one side of the guides with strips of styrene. I also added strips along the horizontal supports. 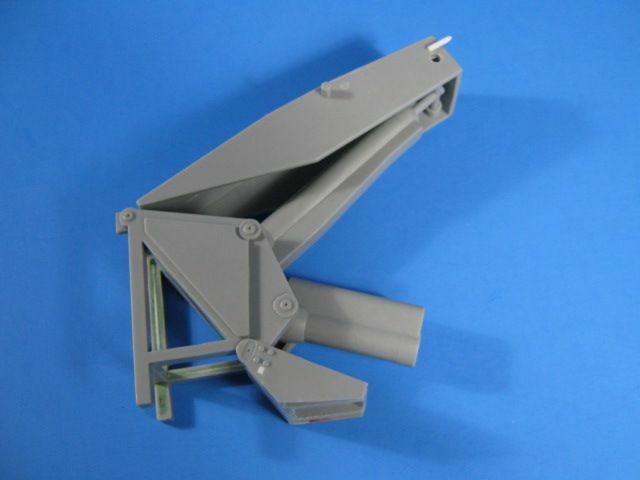 Lastly, references show that this later version also has a box ans conduit on the front side of the support. I built this using a block of resin, sheet brass, sheet styrene, and a styrene rod. It was glued onto the rear deck with a rearward tilt, as per references. 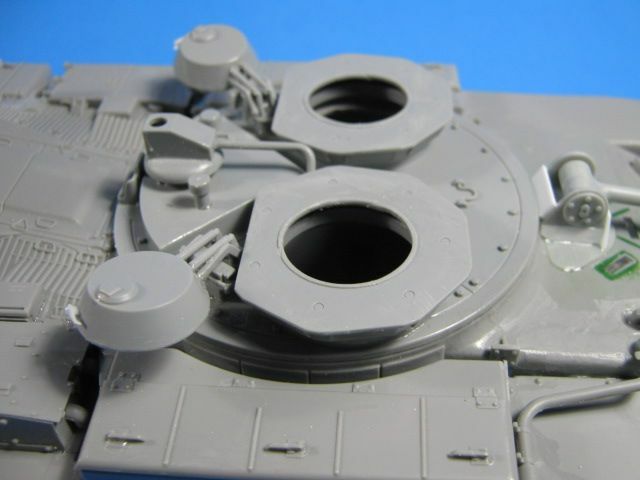 For the elevating mechanism mount at the front of the hull, it looks like Dragon is at least thinking about an M60 AVLB kit. On the inside of the front mount parts that meet the hull, there are score lines that match the profile of an M60 front hull perfectly. I had to do a little more to it though. On these later version M60A2-based vehicles, the mount does not overhang the horizontal line where the upper and lower hull come together. By continuing the cut, you have the correct angle to mount it on the upper part of the hull. This does shift the whole mount back a coupe of millimeters though, as it is on the actual vehicle. I also had to raise up the pivot point for the lower hydraulic cylinder (per references) and shorten up the piston by about 2mm to get it all to fit. Here is the full elevation mechanism awaiting to be added to the hull. On it, I filled in the back sides of the square bars as they were hollow and should be solid. It has been fun so far and not that hard to do. Next up is mounting the elevation mechanism and starting on the bridge sections. Your not wasting any time. Great progress. Looks like the hull can receive the original M48 parts with minor issues to tackle. I suspect the detail of the bridge itself will be the main challenge in any case .... looking forward to your progress ! Is the M60A1 AVLB still in service? Thanks for the support guys. Glad you all like it. 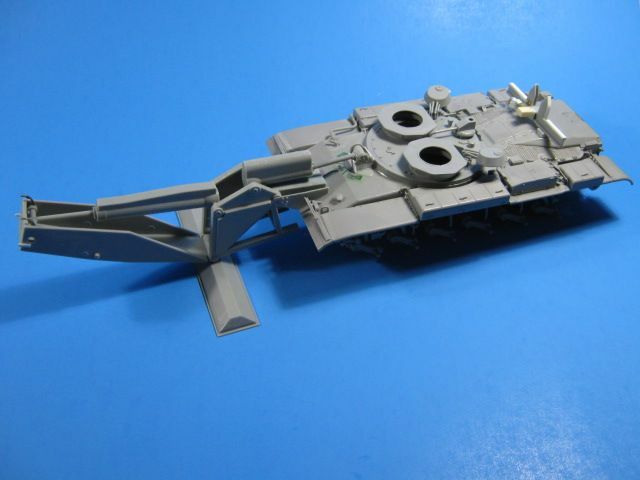 It isn't hard at all to add the AVLB parts from the Dragon M48 since both the M48 and M60 AVLBs used the same basic parts. With some minor mods, it fits right on. The M60 AVLB is still in service. It is planned to be replaced soon by the M1074 Joint Assault Bridge System (JABS), which is based on an M1A1 Abrams chassis. The JABS is currently undergoing testing and is scheduled to start fielding in '19 and be fully fielded by '24. 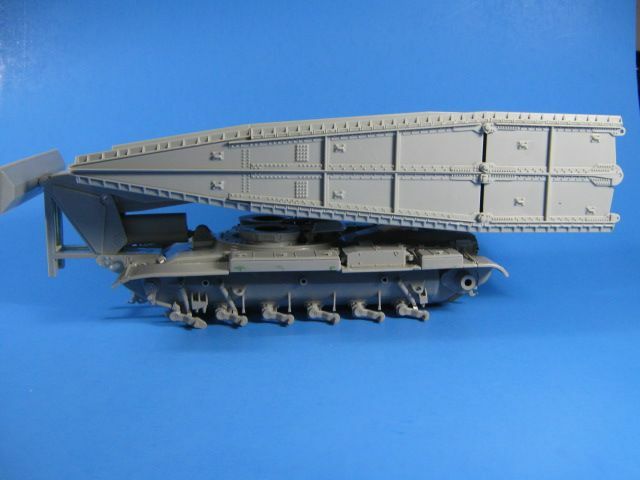 Now, THAT is a model I'd love to see (in 1/35 styrene, of course). 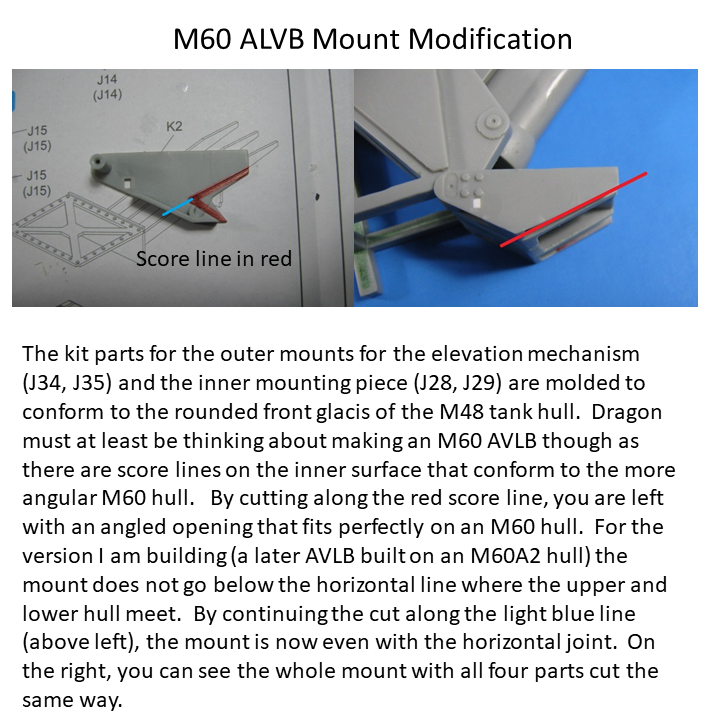 Work continues on the M60 AVLB. 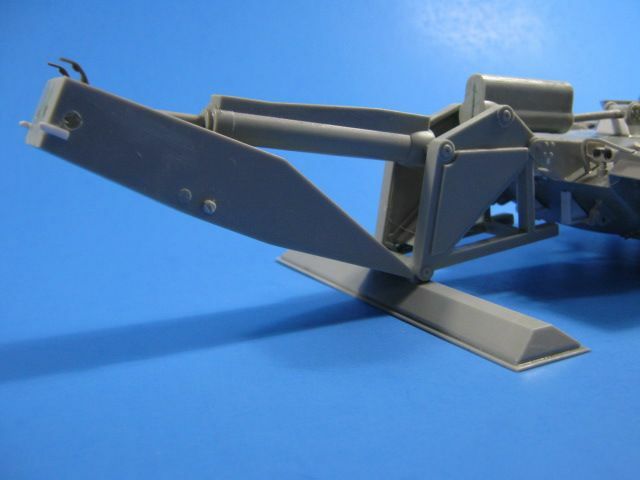 I have completed the erector mechanism and mounted it onto the hull. 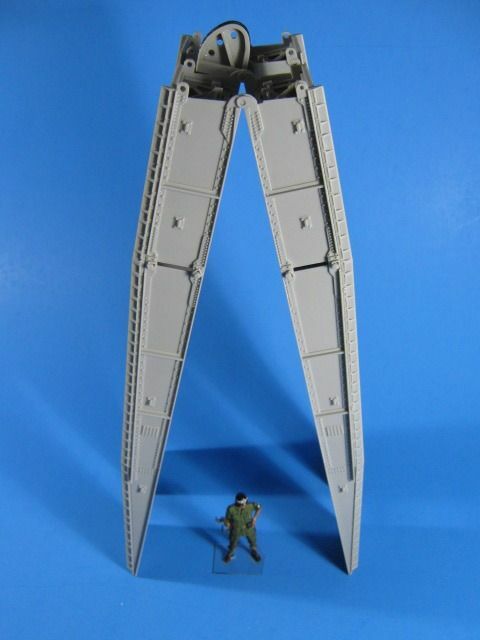 I added details to the top part of the erector arm where the bridge attaches. I also changed out the rear tail light assemblies for armored ones after looking closer at reference pics. I also completed the bridge sections. They were pretty straight forward, with no major issues. By the way, these things are huge. I did change out the stiff metal cables that Dragon supplies for the piston on the bridges to separate them. They were way too stiff and wouldn't sit right. I swapped them out for waxed thread used in ship model rigging. It worked out well in my opinion. I will be off on a business trip all week, so I won't get any more done on it for a while. Next up will be some of the final details such as the smoke grenade launchers and their storage boxes. Wow, looking awesome. 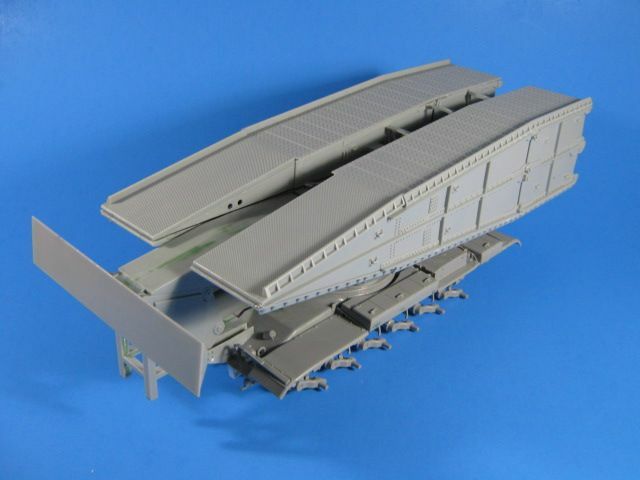 Curious about what you thought about the details on the bridge sections from Dragon? In my opinion, the bridges are detailed pretty nicely. The rivets look right. They have separate handles and tie downs on the sides. The only areas that are a little lacking are the internal supports. Only the first one at the open end is an open "X" pattern. The rest are solid plates, but should also be an open "X" pattern. They can not really been seen though, so it is not a big issue to me. Looking great, Gino. What’s your plan for paint and display? Very nice kitbash. 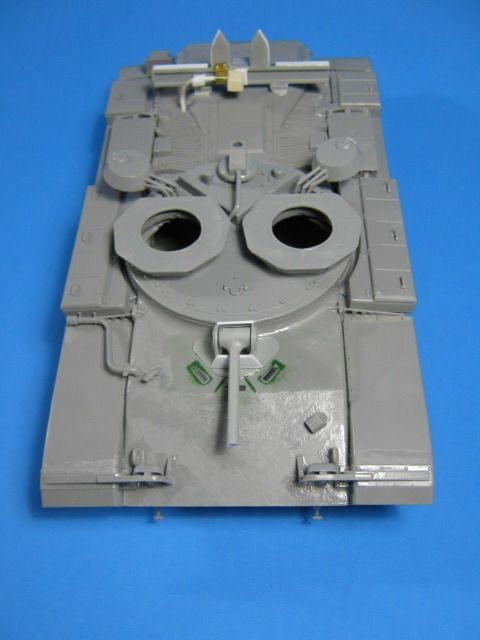 Question, how did you come upon the M60A2 sprue from the AFV club kit? 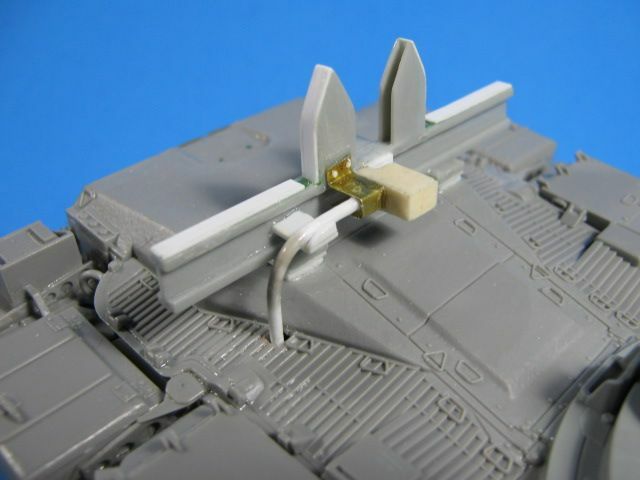 Order a spare sprue directly from AFV Club? It must have been a bear to drive with that bridge up. Thanks guys. Glad you like it. It has been a fun build so far. 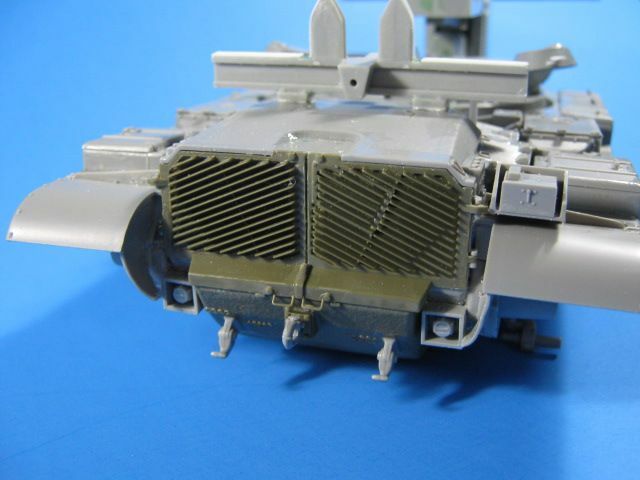 For the AFV Club M60A2 sprue, I have a contact who is in Hong Kong and can get them directly from AFV Club. He goes by moon03tw on eBay and can be contacted for parts/sprues there. 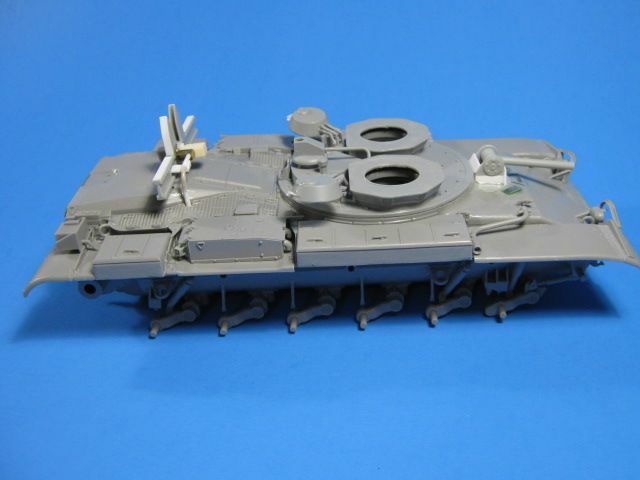 Gino, thanks for the info on the m60A2 sprue. Kitlinx has this kit in stock for a slightly more reasonable price than ebay. Shipping is a little high, but I decided to snag one anyway. Good luck Ken. It looks to be a great kit. I've had a hankering to do the IDF version of this thing for a while now, watching closely too. Gino-- Only you would undertake a project of this magnitude! It will long remain one of my most treasured moments seeing those two "dogs" depart the squadron for the engineer company....adios.